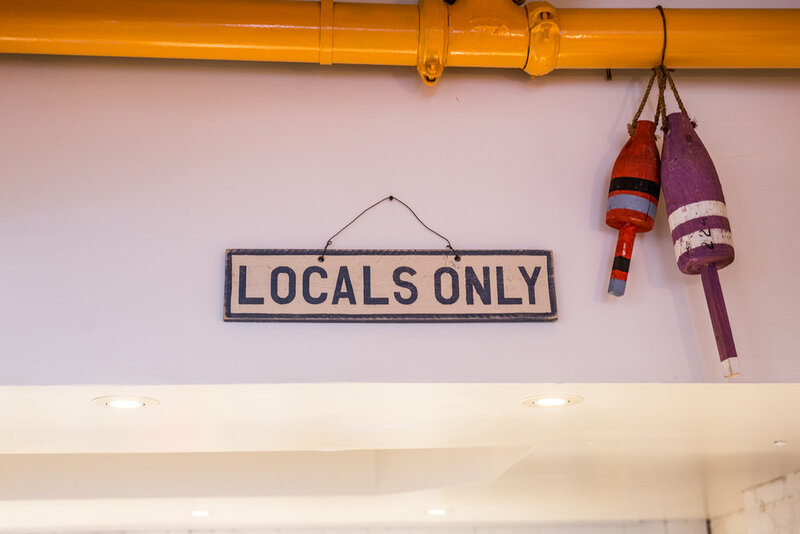 If you think like I do and are not too sure if summer will make an appearance this year, you can always take a quick trip to Cali just by heading over to one of the most Instagram worthy lunch spots in the city! Venice MTL is situated in the heart of Old Montreal at 440 Rue Saint-François-Xavier. AND they recently opened a new location downtown at 1045 Côte du Beaver Hall. 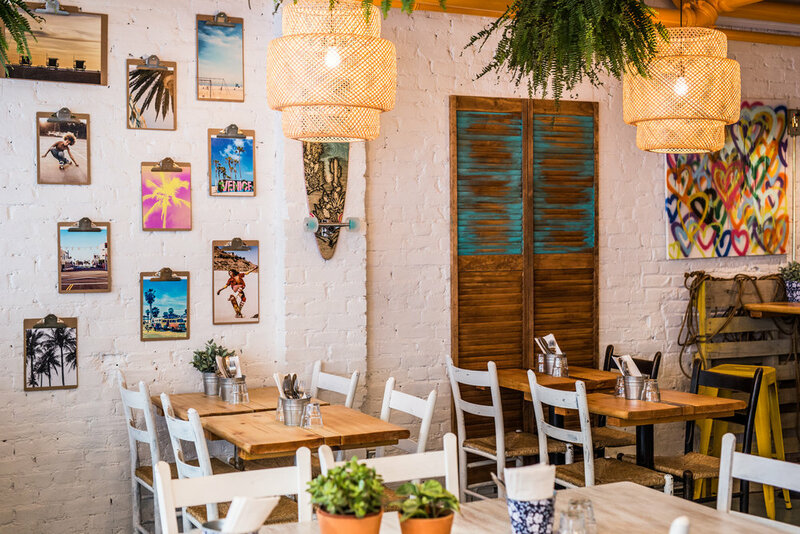 The trendy eatery is dripping in hippie boho vibes that’ll make you want to hit the beach. And if you sip on a few of their signature cocktails like the Sunset Boulevard, you might even want to take on the waves! Young entrepreneur Charles Monceau conceived the warm and inviting hipster haven. You may recognize this restaurateur as the owner of Nini Meatball House on Rue Notre Dame. He is known for delivering originals eatery concepts that are both healthy and offer good value. Charles designs everything from the stylish interiors of the hot spots to the mouthwatering menu items. I absolutely love what he’s doing and have a ton of respect for thriving young local business owners. Venice offers an incredibly wide range of wholesome and tasty dishes. All of their food is super light yet savory and satisfying, making it the perfect pit stop midday meals on the fly! Some of my favourites on the menu are the Venice salad (Kale, Spinach, Carrots, Apples, Orange Peppers, Quinoa, Feta, Chick Peas with a Poppy Seed dressing), the Tuna Poke Bowl (Rice, Tuna, Edamame, Mango, Ginger Tobiko, Shoyu & Spicy Mayo), the Fish Tacos (Turbot, Kale Salad, Pico de Gallo, Avocado & Lime Sour Cream), and the Avocado Toast (Poached egg, Coriander, Dill). They also make delicious soups (Butternut Squash & Coconut, Carrot & Coriander, and Venice Minestrone) that I can’t get enough of! Venice is definitely one of my favorite spots to lunch in Montreal. They don’t take reservations so be ready to wait a bit if you go at peak dining hours. 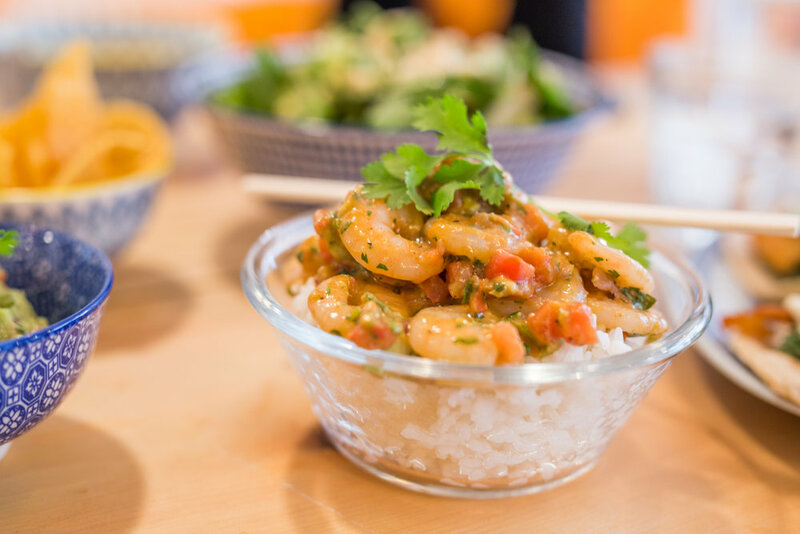 With all the incredible dishes to choose from and their unbelievable décor that’ll transport you straight to the West Coast, it’s definitely worth a try! Grab a friend and get your nosh on at Venice MTL, they also serve brunch at the old Mtl location. PS: if you hit up the old montreal location, there's a cool spot for drinks right next door called Boho MTL by the same owner.